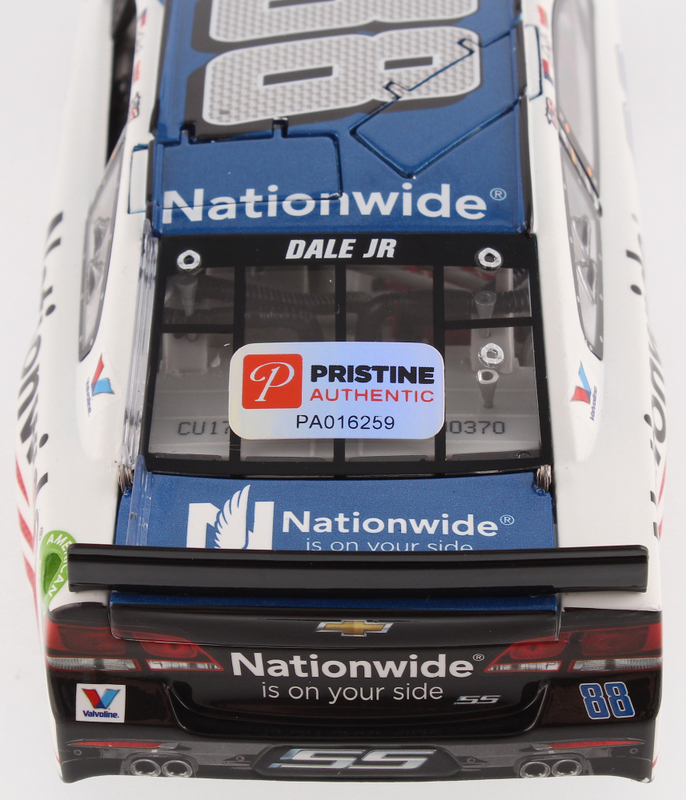 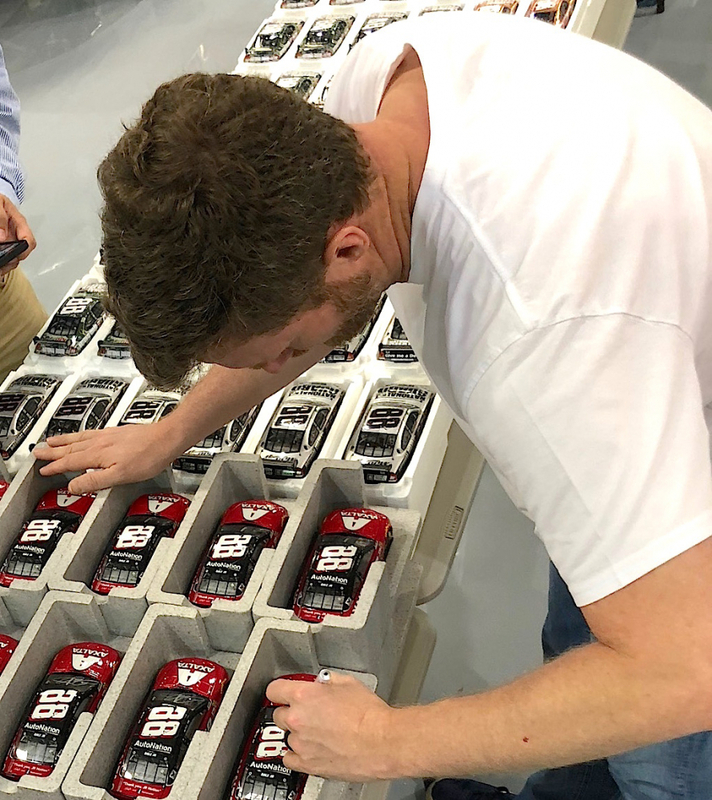 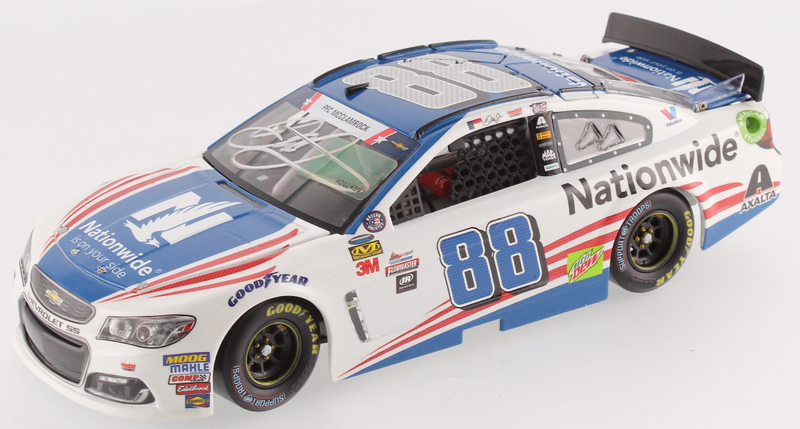 Premium die-cast car hand-signed on the windshield in silver paint pen by Dale Earnhardt Jr. 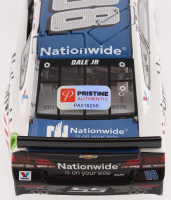 The car is limited edition to just 1,693 produced and includes the original packaging. 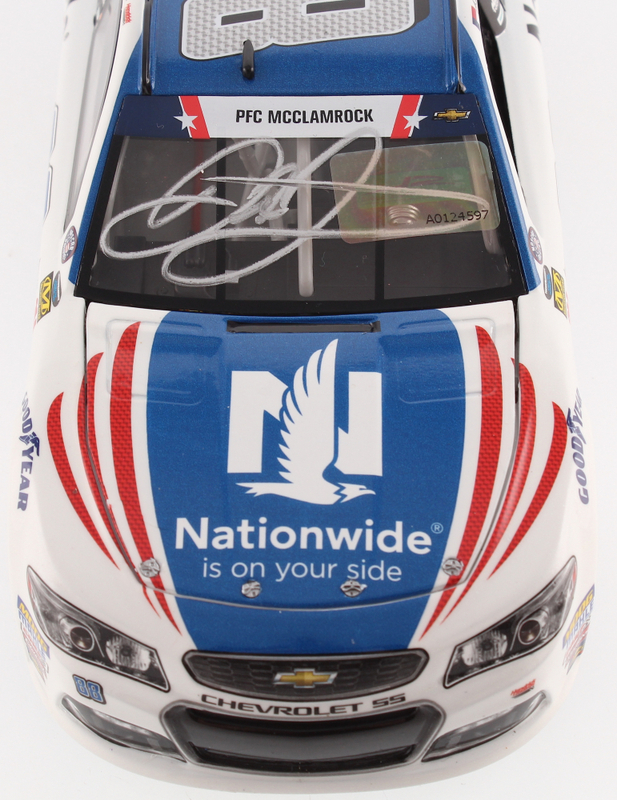 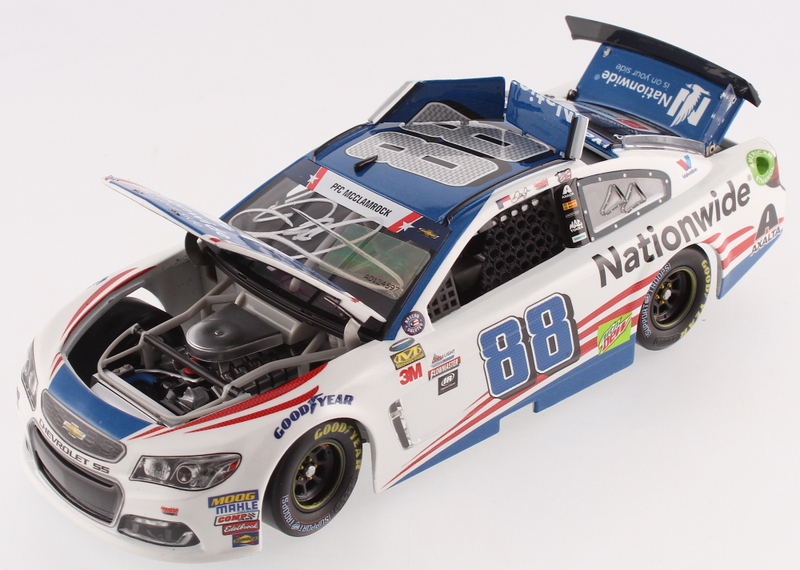 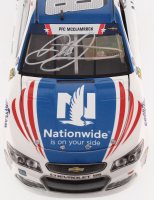 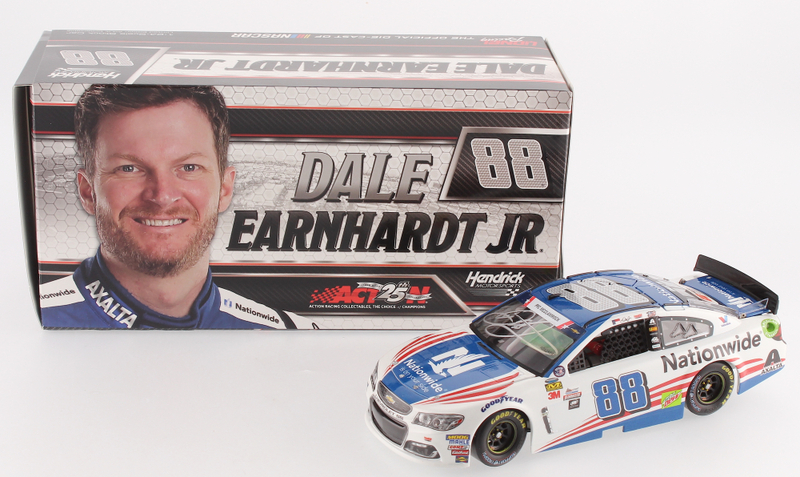 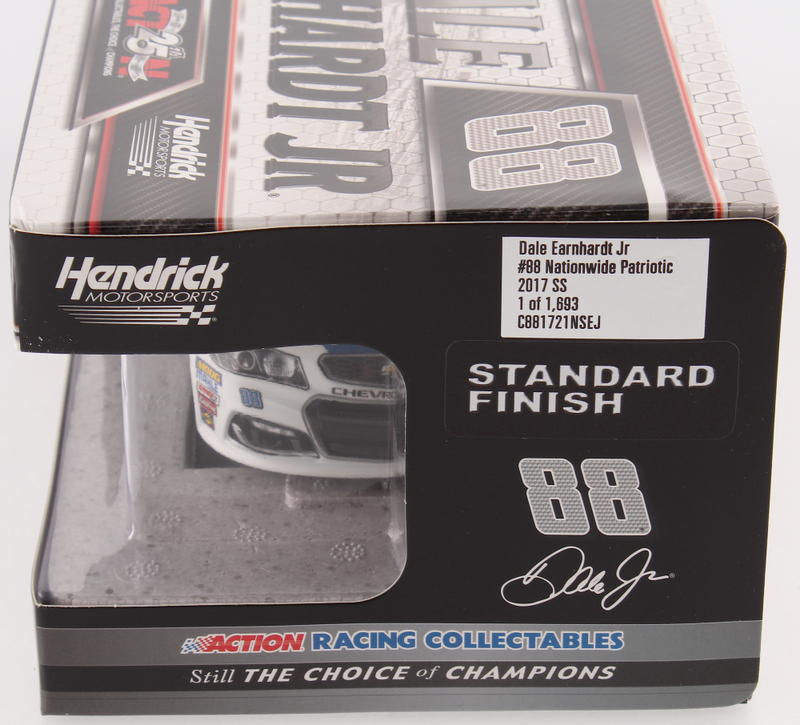 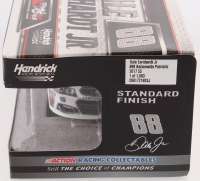 The autograph includes an official Dale Earnhardt Jr. hologram from Jr. Motorsports for authenticity purposes. 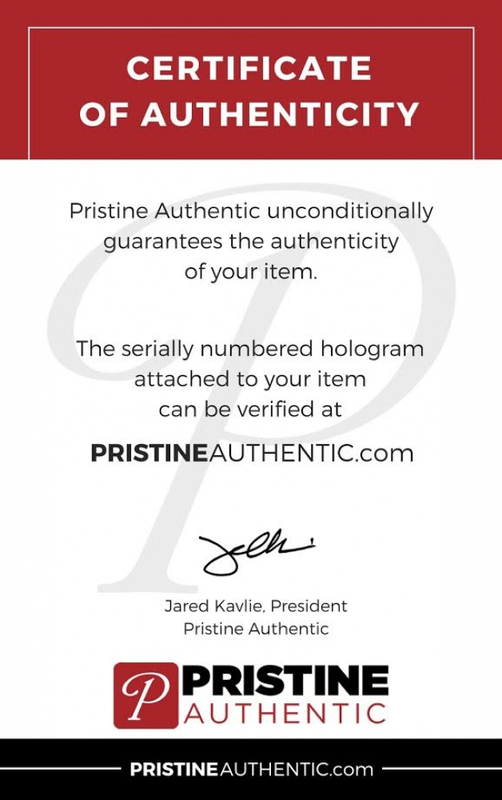 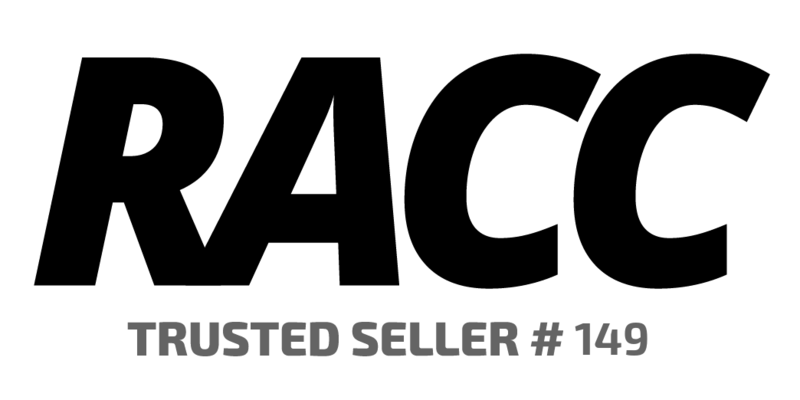 Also includes a Pristine Authentic hologram and COA.